I know a lot of you read my blog because I write about photography, writing, and my general observations about the world around me. This blog is also about exploring creativity. 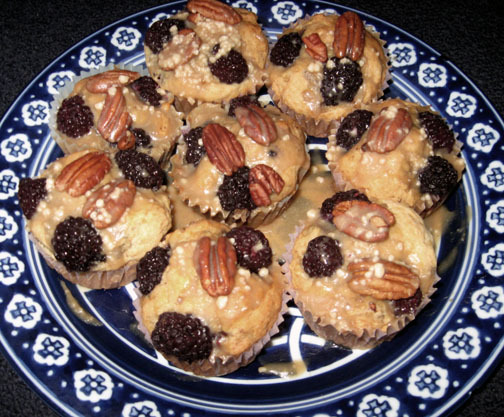 So what am I doing making this misfit post about blackberry muffins? It has been busy on the day job lately, and when I am stressed and tired, I don’t feel like writing or taking photos. Instead I spend my time hop-scotching around the internet. And fooling around in the kitchen. So I really must be creatively blocked when I can make both activities intersect. A couple of weeks ago, while wasting time online rather than writing, I discovered The Happy Hobbits. The Happy Hobbits are two sisters who are Tolkien fans and who regularly contribute to The One Ring fan website. I stumbled across their now viral video of them reacting to the reactions of the stars reacting to their reaction to the second Hobbit movie trailer. ( It’s hard to explain so you just may want to view it yourself: http://youtu.be/X1XsnHQSJso ). Anyway, watching this video led me to their Youtube Channel. One of the other videos on their channel is on making “Second Breakfast Blackberry Cake” (LotR fans will know about Second Breakfasts). I thought it sounded good so I attempted to make the cake. Not wanting to heat up my oven on a hot day, I made it in my toaster oven. Not such a good idea when one forgets to switch the toaster oven from broiler to bake. I ended up with burned blackberry pudding. Baking is much like writing. If something isn’t working, you pitch it out and try a different approach. In this case, I tried the recipe again and made muffins. There are a lot of streams coming together here — baking, literature, film, social media, toaster ovens — but a confluence like this often results in a creative breakthrough. So along with my gastric fluids flowing, so are my creative juices. Thanks, Happy Hobbits, for giving me some insights on my process along with a good recipe. Categories: On Being Human, People, Self-Care for the Creative, Social Media and Technology, Video | Tags: baking, creativity | Permalink. This past weekend, I was visiting with a very elderly relative. Our conversation started with gardening, which led a discussion of the weather, then on to the science of digging wells, then to how water flows underground, to dowsing, and then finally to concerns about our drought. We talked about a nearby creek bed that is dry most of the year and serves only as a place where rain water from winter storms runs off to the sea. Then my relative shared a story about the creek. Decades ago, his grandfather-in-law told him a story that he had heard as a child from an elderly woman. The elderly woman had related that when she was young, there was enough water in the creek to row a boat all the way from the sea to the city — about 10 miles. My point in sharing this has nothing to do with creeks or boats or drought. My point is that I was listening to an account of an event that happened about 200 years ago. I don’t know about you, but I think it is amazing that this minor little event, a tiny strand of a memory, has threaded its way down six or seven generations. Factual events happen and become stories told to the next generation. As they get passed along through the years, they may become legends, until finally — if the events are great enough– become myths and flow into the river of our collective unconscious. Categories: History, Mythological Motifs, On Being Human, Places | Tags: memory, myths | Permalink. Shake out your thinking and beauty will find you in the most unexpected places from the most interesting people. 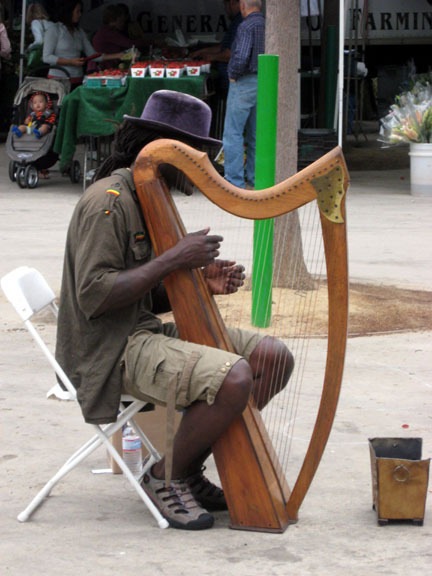 Categories: Photography | Tags: harpist | Permalink. There are many people that I might consider a Person of the Year; however, I just finished reading Tattoos on the Heart: The Power of Boundless Compassion, so at the moment I am profoundly moved to select “G-Dog” as my person of the year. Here is a Ted Talk and you can hear the author describe his work of developing kinship and compassion in his own warm and humorous words. If you have 20 minutes listen to him and see what I mean. Categories: On Being Human, People, Video | Permalink. The Daily Post says I have the power to enact a single new law. What would that be? I thought about this for awhile and I decided not too. I mean, really, what if I made a law, let’s say, to ban the sale of all assault weapons to mentally ill people? No, I would piss off a bunch of people, they would leave nasty comments, and then I would get a headache. Maybe I would make a law against making too many laws. That would warm the hearts of my Libertarian friends. Maybe, I would make it a law that you can’t waste bandwith and followers’ time with making stupid posts like this. I can hear the whoops of delight. 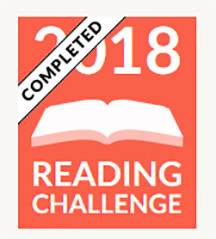 Thank you for taking the time to read and indulge what is actually just a writing exercise for me. Please do not take this post seriously at all. I’m just messing with you. Maybe I would make a law against everyone being too serious all the time……. Categories: On Being Human | Tags: laws | Permalink. I got an email earlier this week from a relative of mine. She told me that our local Norm’s Restaurant would be closing in a few weeks. It is being closed to make way for the new commuter train line heading from downtown to the sea. She wrote several paragraphs about all the good times we had had at that restaurant. I wouldn’t say that the food there was good, but it was plentiful and cheap and not really the point of going there. This diner was a launching pad or the landing place for other activities we enjoyed. So it is the memory of those excursions that make this place so important. 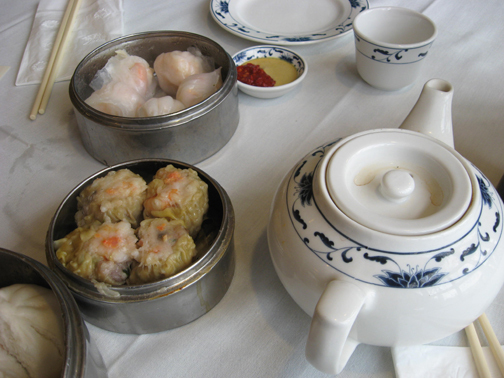 A couple of days after getting her email, I received a post on my Facebook page from the Empress Pavilion restaurant, the vast and awesome grand dame of dim sum in the heart of our city’s historic Chinatown. The post announced that it had closed for financial reasons. This saddened me as well. I had many good times and fun excursions with friends that started over those nifty little metal baskets of steaming, savory knoshes. I have started thinking about all the other places of my youth that were now gone: the go-cart track, the Discount Book Library on Grand View, the Rollerdrome, Stern’s BBQ where our family would go on Christmas Eve when “Santa Grandma” was at home putting our presents under the tree. Memory and Place go hand-in-hand and when the places change, we fear the memories will change too. Not to worry. Those memories just grow stronger and more vivid. I should not be surprised that all things change. 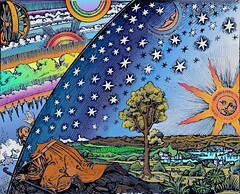 Constant flux, that contradiction of terms, is fact of life and a law of nature. So we remember and celebrate the things that are gone so they become brighter in our minds and hearts. And today I think I may reinforce one memory by finding some cheap diner food. Categories: Memories, On Being Human, Places | Tags: observations | Permalink. 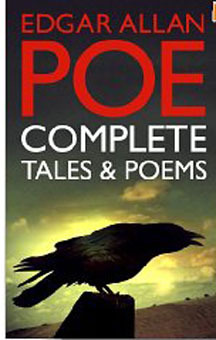 Yesterday, for a mere 99 cents, I downloaded Edgar Allan Poe: Complete Tales and Poems, and I am excited about this. You may think that my giddiness has something to do with Poe’s work as a mystery writer. It does in part. But my first exposure to Poe was through his poetry. When I was a child we had a set of books filled with stories and verses suitable for young readers. I remember curling up with the poetry volume and reciting the poems aloud. There were several of Poe’ s poems: Annabelle Lee, El Dorado, and The Bells. Sometimes I would wander around reciting the refrain from this last one, letting my intuition guide me in finding the rhythm: “From the BELLS, bells, BELLS, bells, BELLS, BELLS, bells…” Sort of the thing you might expect a young child to do. To my astonishment the class applauded. I learned that day about the emotional power of the written and articulated word. Fast forward to junior high school: my English teacher had us analyze The Raven. It was in that lesson where I learned to savor unusual words and seek their meanings. “Quaff, oh quaff this kind nepenthe…” comes to mind. I also learned to look at the meaning behind the words of a poem. In this particular piece I learned it was not just about a talking raven; the poem was about death and love and madness. The lesson I took from The Raven taught me the necessity of reading between the lines and going deeper into a writer’s work, to not take anything on face value and move beyond superficiality. So finding the complete works of Poe in such an accessible format brought me back to these essential childhood lessons, and I am thrilled. So if any of my friends find me wandering about muttering about tinkling bells and the Night’s Plutonian shore, don’t go looking for a butterfly net — yet. Categories: Books | Tags: edgar allan poe, observations | Permalink.